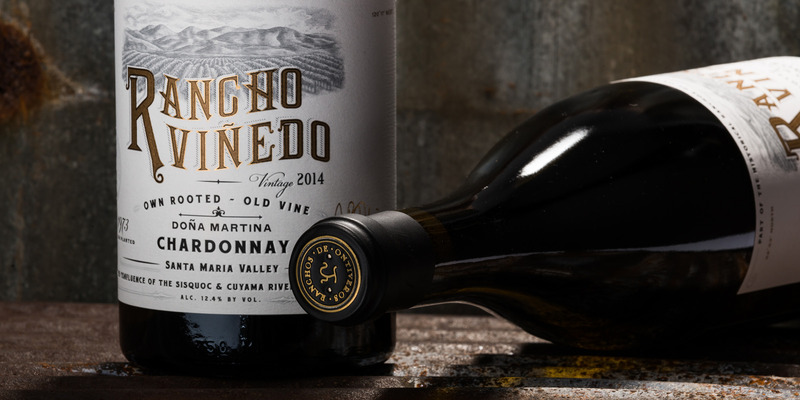 We’re honored to introduce our newest brand, Rancho Viñedo. Rancho Viñedo is sourced from the Wente Clone 72 Chardonnay and Martini Clone Pinot Noir from Rancho Viñedo Vineyard, a parcel of the original Rancho Tepusquet Land Grant. 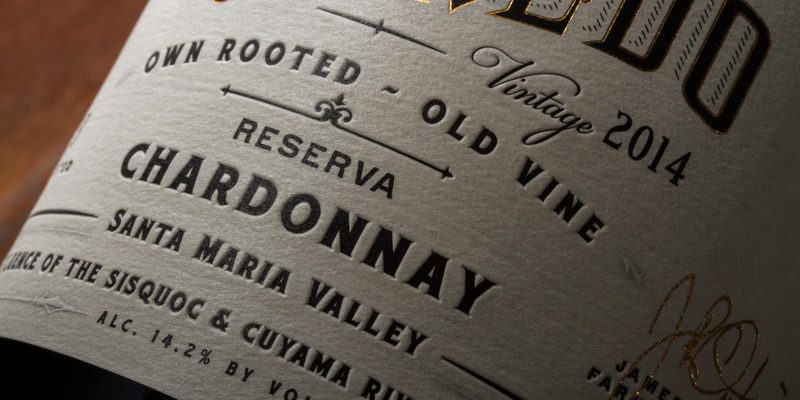 The initial release includes both the 2014 Doña Martina Chardonnay and the 2014 Reserva Chardonnay. Rancho Viñedo Vineyard, at the Western portion of the original Rancho Tepusquet Land Grant, was planted to Chardonnay and Pinot Noir grapes in 1973 by the Robert N. Woods family. The vineyard continued to be farmed by the Woods’ hands until 2012, when James leased the vineyard. He now operates it with the assistance of Robin Woods. Old vines, on their own roots are the main draw of Rancho Viñedo. It also offers completely different soil and a terrific juxtaposition to the land James was already farming at the Rancho Ontiveros Vineyard. Although only four miles away, the soils of Rancho Viñedo are millions of years older, the vines decades older, and the property itself carries a meaning that might be hard for someone else other than James, the descendant of this land, to appreciate. Learn more about our Rancho Viñedo Estate Vineyard. A reflection of the rugged location of our originally farmed, low-yield vineyard, this Chardonnay is an expression of its place: lean and crisp with resilient character. Sitting on gross lees until bottling, at which point it’s bottled unfined and unfiltered. Our Reserva is a stylistically lush expression of Chardonnay from our organically farmed, low yield vineyard: aged 11 months sur lie entirely in French oak, rich in texture and layered with deep, robust flavors. We’d love to hear your thoughts on Rancho Viñedo wines with us via email, Instagram, or Facebook.